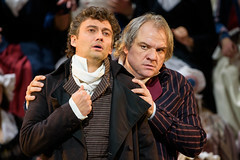 Andrea Chénier was Giordano's third opera. 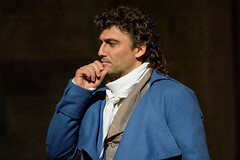 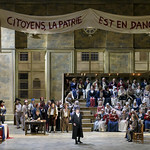 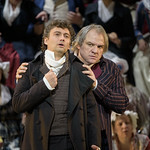 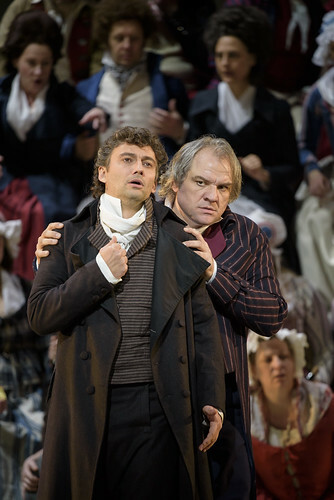 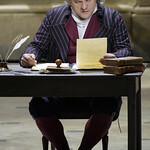 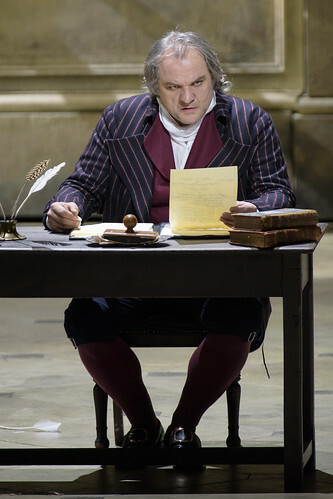 The libretto, by Puccini's regular collaborator Luigi Illica, is loosely based on the life and tragic death of the French poet André Chénier, who was executed during the French Revolution. 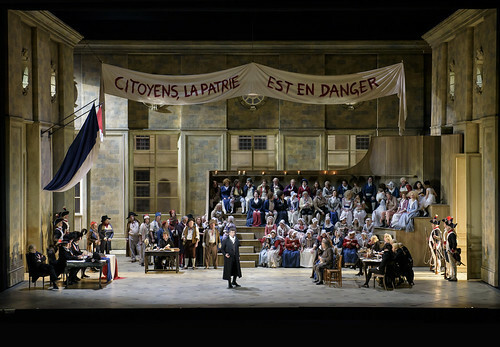 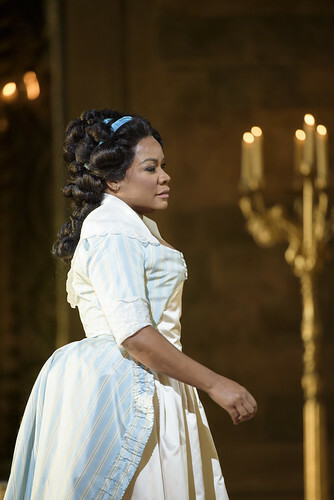 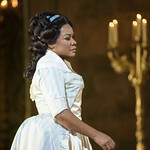 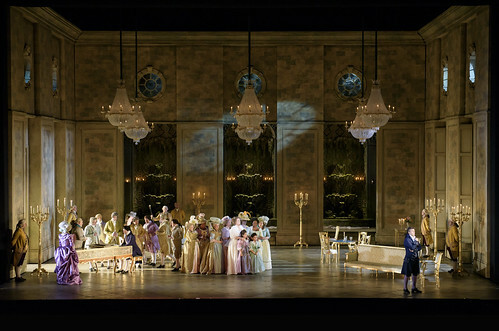 The premiere of Chénier on 28 March 1896 was a great success, and the opera became one of the most popular examples of the verismo (literally, 'realist') movement in Italian opera. 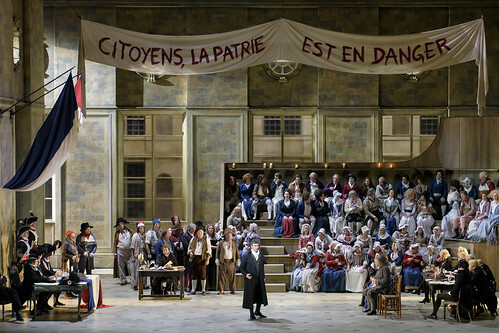 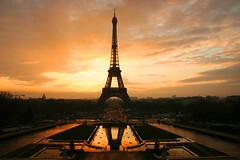 Giordano perfectly captures the atmosphere of Paris pre- and post-Revolution, through music including an elegant Gavotte (Act I) and the popular revolutionary songs 'La Carmagnole' and the 'Marseillaise'. 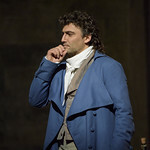 Not surprisingly, the tenor protagonist gets some fine solos, including Act I's ardent aria 'Un dì, all'azzurro spazio', and Act IV's nostalgic 'Come un bel dì di maggio'. 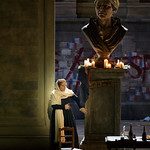 But Maddalena and Gérard also have wonderful arias: the former's impassioned 'La mamma morta', and the latter's tormented 'Nemico della patria?' 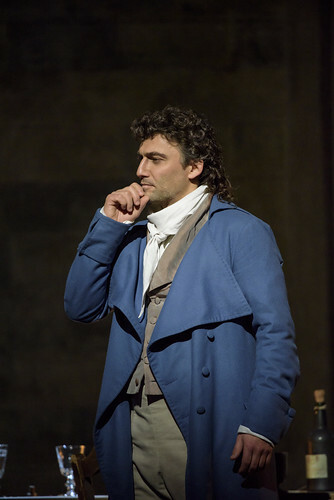 as he wrestles with his conscience in Act III. 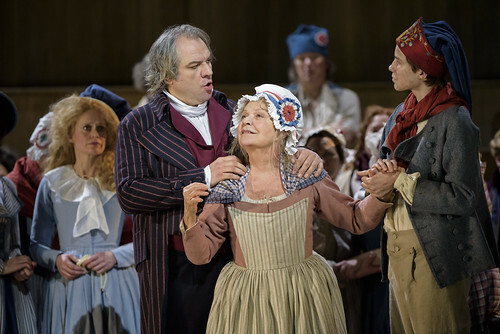 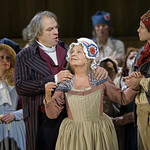 David McVicar's spectacular, almost cinematic production evokes the profound social changes in late 18th-century Paris, with beautiful, historically-informed sets and costumes by Robert Jones and Jenny Tiramani. 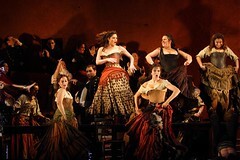 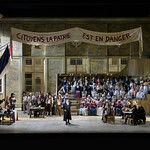 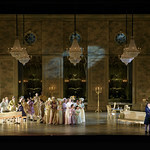 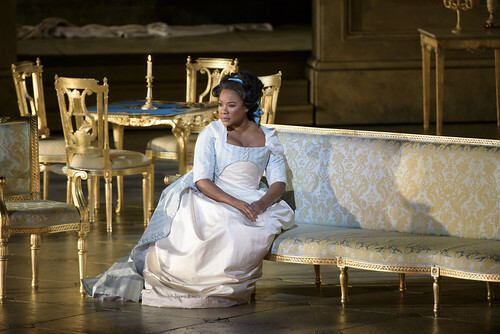 What did you think of the live cinema relay of David McVicar's Royal Opera production of Umberto Giordano's opera? 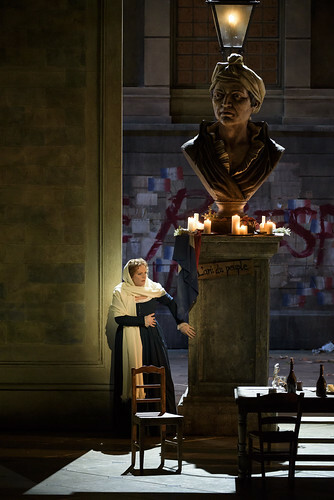 What did you think of David McVicar's production of Giordano's verisimo opera?